Hey there everyone!! This is your last reminder for the June "Get Your Glitz On" challenge, as all submissions are due this coming Wednesday, July 6th at 11:59pm PST. We are loving all the amazing entries so far, and hope that you can get some more in at the last minute!! 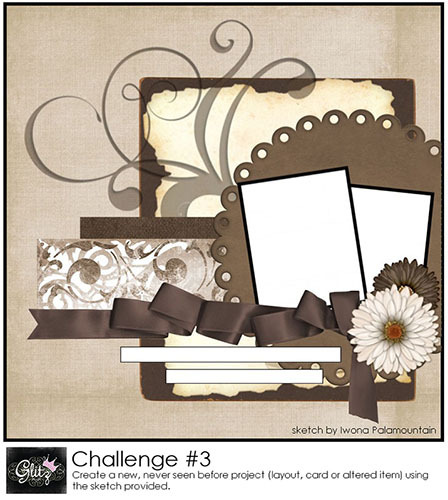 This month the lovely Iwona Palamountain on the cards team designed a fabulous sketch for the challenge, and this is what your project should be based on! 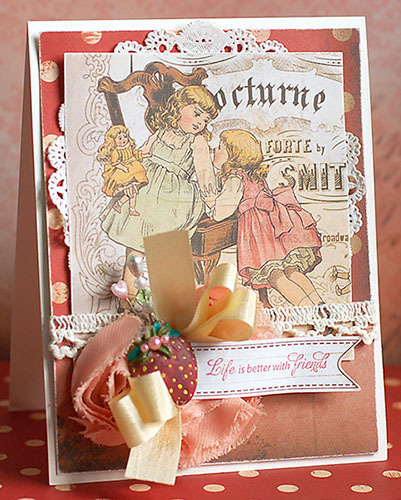 Don't forget that you can create any type of project that you want....layout, card or altered item. But just a reminder, ALL projects must be new and never seen before! 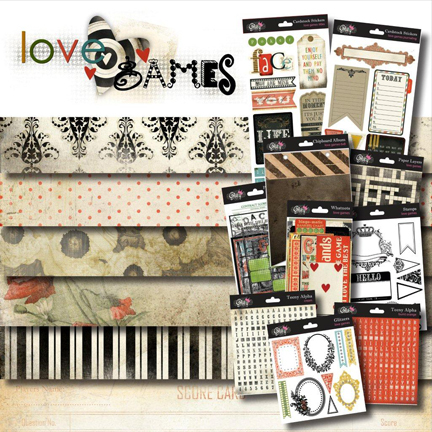 And don't forget, the "Love Games" collection is the prize up for grabs this time around!! I have created one more card using the sketch as well!! I wanted to create a standard sized card, so what I did was layered many aspects of the sketch right on top of each other so it would work out! I also mixed together a paper layer from "Afternoon Muse" with patterned papers from "Love Nest", and they went together beautifully! That is what I love about Glitz...you can always find a way to use the old with the new, making your stash never feel outdated!! We will be back next weekend with the winners from this challenge, and the start of challenge #4!! Oh, and be sure to come back tomorrow...we have an awesome announcement! !